This week’s secret ingredient is Zucchini. With 100 degree temperature outside today, I will be serving zucchini. This watery vegetable has a “cooling” and refreshing effect and acts as a diuretic helping to relieve water retention. Make sure you eat them with their skins on. Zucchini also supplies antioxidants and about half an adults recommended daily vitamin C intake can be eaten with a 4 oz portion (small zucchini). I love to find the most locally grown zucchini I can. The skin should be a nice deep green and without bumps and dips. I prefer the smaller ones as I think they have more taste. I find the larger they get they loose flavor. 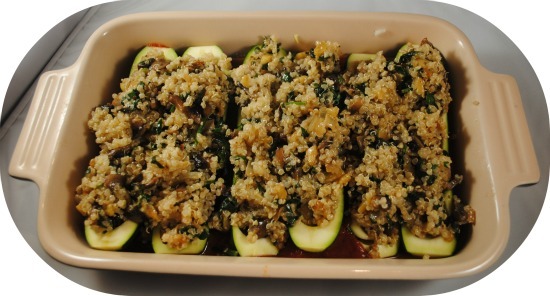 Keep the zucchini in the refrigerator until you are ready to use them. They will last a good week if they are freshly picked. Raw zucchini is great shredded into salads or tossed into your smoothie or juicer. 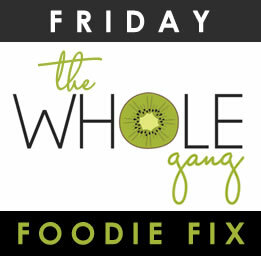 Next Week’s Secret Ingredient for Friday Foodie Fix is … Cucumber! Now it’s your turn to share your gluten free recipes with zucchini below. Thanks so much for hosting! This week, I shared my Zucchini Quinoa Lasagna Stacks! They're Gluten Free, Vegan, and Body Ecology Diet friendly! I love zucchini! I posted my gluten-free zucchini bread and linked back to this post, sadly I couldn't get your badge to post on my site for some reason. I'll continue to work on that. Thanks for featuring my swiss chard recipe! This week I'm sharing a more decadent recipe – chocolate zucchini cake! Happy Friday. This week I am sharing raw zucchini pasta with two yummy dressings. 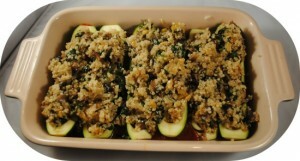 What great news on zucchini having a cooling effect … guess we need to consume a whole lot of zucchini this weekend! 😉 I've linked up a few recipes where zucchini is the star. Thanks for hosting, Diane! Stay cool, dear. Hi Diane! Thanks so much for highlighting my swiss chard dish! And I'm so happy you've chosen zucchini as this week's secret ingredient. I can't get enough of it this time of year! When I have too much to cook I make the Chocolate Zucchini Wake Up Smoothie that I linked up this week. Great way to drink those antioxidants! And the zucchini makes the smoothie nice and thick.